Tim Cook updated the audience on iPhone 6/iPhone 6 Plus sales saying they have broken records and are the fastest selling models in the history of the iphone. 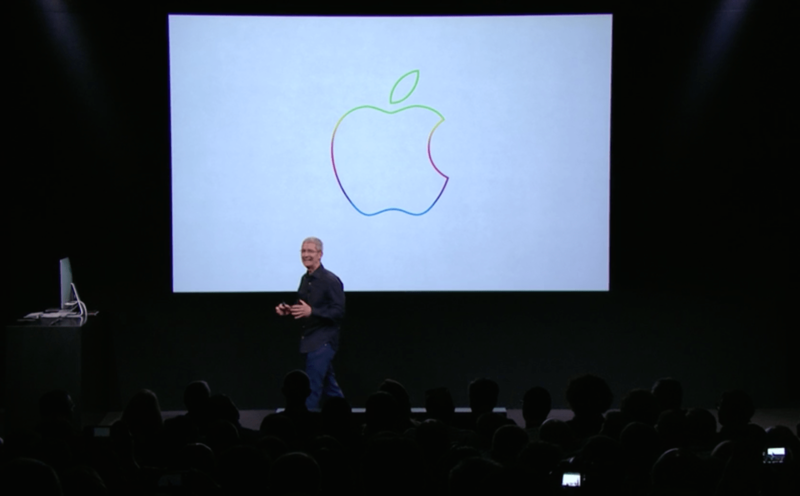 500 banks have signed on to support the apple tap to pay system which launches in the US on Monday. Reminded us that the Apple Watch will hit stores next year, in the meantime in a month’s time they are releasing the development system to the public so people can build apps for the Watch and have them ready and working before release. Fixes to iOS 8.1 thanks to user feedback….Camera Roll is back and the fixes to the dropped Cellular service and Touch ID that some users experienced with the first update rollout. Reminded us about updates to Mac OS X with enahanced battery life for MacBook’s, Safari the browser now running 6 times faster, being able to open SMS messages and take your calls off your iPhone on your Mac, file sharing functionality between devices using iCloud Drive…which will also be compatable with Windows.Updates are free with OS X released today, iOS 8.1 Tuesday. iPad Air 2 and iPad Mini 3 was announced, 18% thinner than the first iPad Air and the Gold colour has been brought into the range. iPad Mini 2 and iPad Mini remain on sale. The rounded bottom of the device is now gone. A version of the iPad air will be available with an Anti Reflective coating for those of us who use them out in the field. Improved retina display making the iPad capable of displaying 4K imaging brilliantly. Camera has been brought up to iPhone standards with 8 megapixel and improved sensor. As expected Touch ID has been brought onto the Apple iPad. A new processor the 64bit A8X they promise will deliver console level graphics and make the iPad Air 2 40% faster. iPad will support more Wifi standards (for faster networks) and all the 4G bands for compatibility. Release dates are the same as the US…pre ordering starts for the iPad Air 2 and Mini 3 tomorrow and they go on sale officially on Friday 25th October (next week) starting at $619 for the base model iPad Air 2 and $499 for the base model iPad Mini 3. Add at least $200 for 4G models. A new iMac to be released with Intel Core i5 Processors as standard, can go up to 4GHz Intel i7 Processor. Improved graphics processing than ever before and 8GB RAM as standard, in 21.5/27 inch and in the 27 inch version with a higher quality retina display capable of 5k graphics. A new Mac Mini for those who like their computing smaller. Faster processor, better graphics and super energy efficiency promoted. Expecting the range to go on sale in the same periods (presale tomorrow, in stores next Friday).